I have fond memories of childhood family dinners. There were fun times when my brother, sister and I would jokingly chew with our mouthes wide open, to gross each other out. There were nights when the three of us tried to see who could be the most obnoxious, driving our dad to dine alone with my mom after we were dispensed with. I was a lazy eater, preferring foods I didn’t have to chew and storing food in my cheeks, like a chipmunk, to delay swallowing, as if it was too much effort. In those days just looking at food made me full. There were only two foods I remember refusing to eat: liver and spinach. 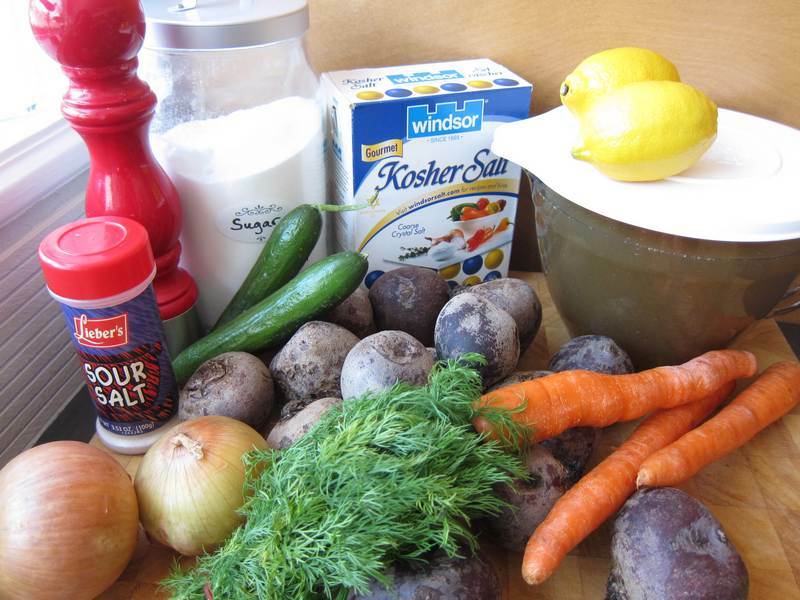 I remember enjoying beet borscht with flanken and potatoes, not foods that today’s youth clamour for. 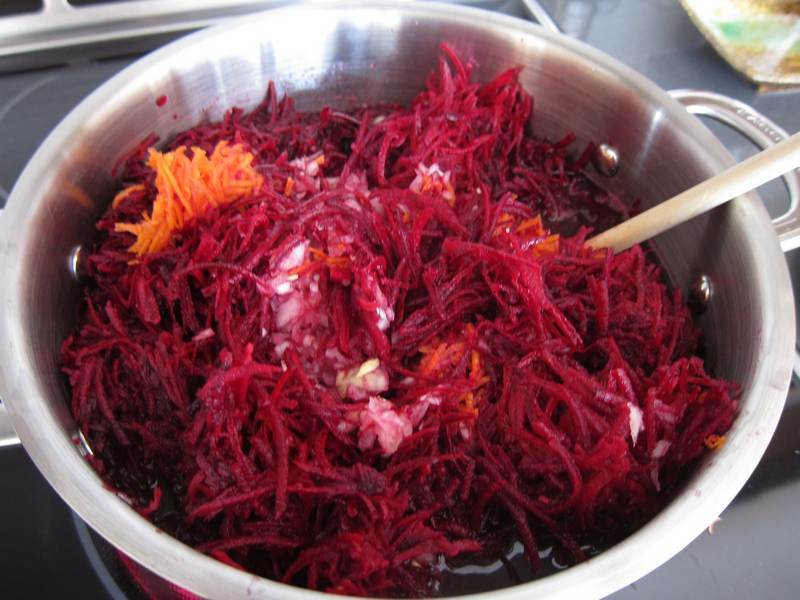 There are so many versions of borscht. The following is one that my mom favours. The key is finding a sweet-sour balance between the lemon, the salt and the sour salt. Simmer all ingredients for 20-30 minutes. Serve hot or cold. 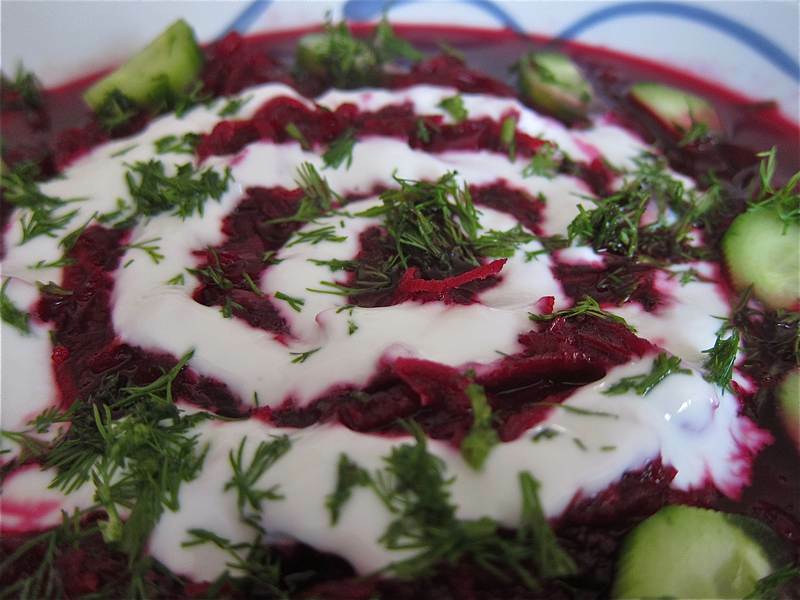 Garnish with boiled potato, dill, cucumber (with a bit of salt), sour cream or yogurt. Roast the bones, carrots and onions for 30 minutes at 450F. Remove fat. 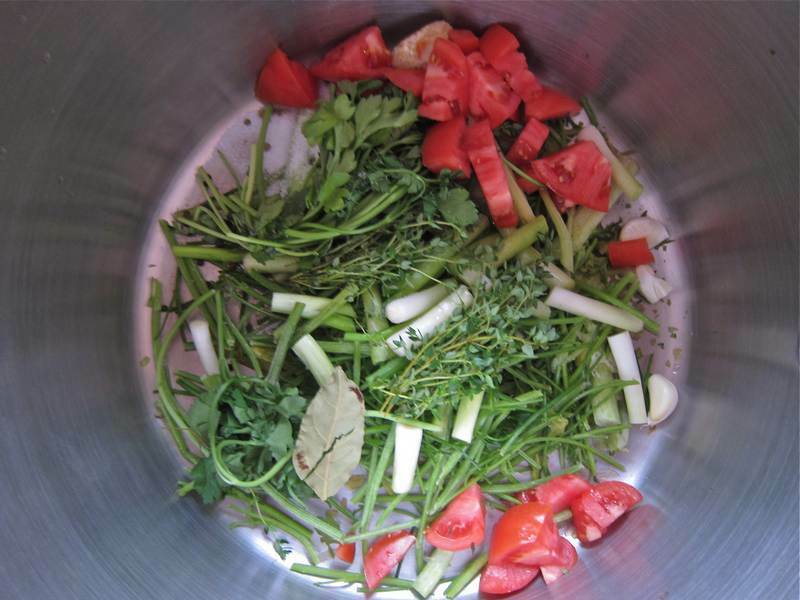 Put all ingredients into a stock pot and bring to a boil. Simmer for 5 hours. Cool then strain, using fine mesh and cheesecloth for a clear stock if required. Refrigerate overnight, removing the solid fat on the surface before using or freezing. 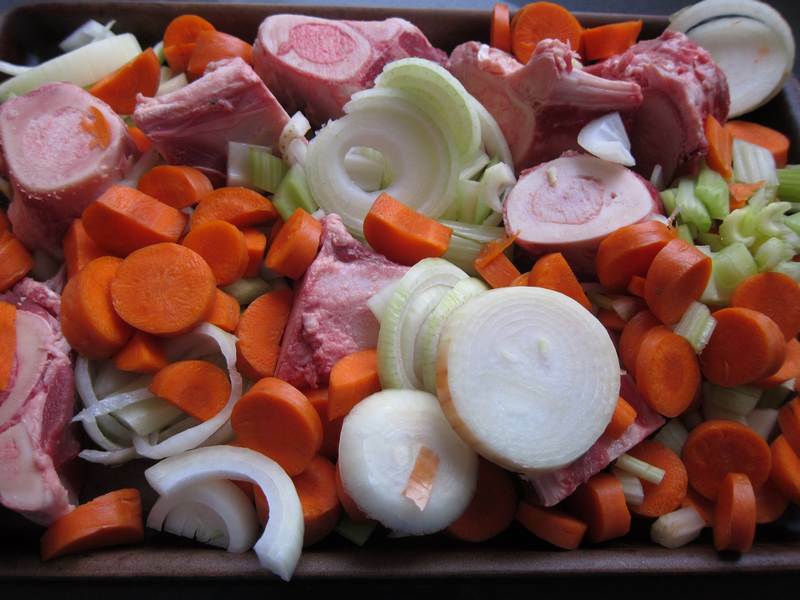 Some additional beef stock ideas: Simply Recipes and All Recipes. I can’t deny that my biceps got a workout peeling the beets, even with the Pampered Chef super peeler. But that’s a good thing, right? I couldn’t resist a red and green Christmas theme recipe on Christmas day. Happy holidays! Enjoy the spirit of the season. « Baked Banana – Bravo for a 2 minute dessert!